I am looking for a tool to download Facebook videos. Until now, I used the addon "Video DownloadHelper" which worked well until a few days ago. Now there is no more version on the version page compatible. (https://addons.mozilla.org/de/firefox/addon/video-downloadhelper/versions). I liked the DowloadHelper for Facebook videos, because this addon provided a clickable button on top right, between the "Home" and "Menu"-buttons of TFF. This was very helpful to download every video without leaving the current TFF-page. Actually I have no tool to watch Facebook videos. Do you know there is something similar? and others. All download add-ons will sooner or later stop working when Facebook/YouTube change their layouts or backend code and the updated add-on isn't compatible with TFF anymore. Thank you Chris, but the problem is, I don't see the URL of these videos. When I click the "Play"-Button in the video, just a black window shows up (see attached picture). How to find out the URL of the video? and you'll be probably able to open the video in QuickTime Player. 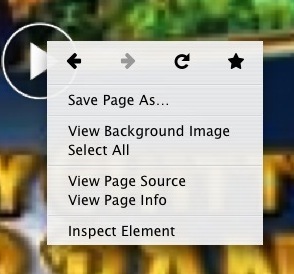 Or (this is what I do) right-click on the video and select "Copy video URL". Thank you Chris! I installed the QT enabler, but I still can't play the Facebook videos. It's much faster than the normal browser version, and it's ad-free. Right-clicking does not work with these videos. When I right-click, I get this window (see attachment). Thank you very much Chris! The mbasic version of facebook I didn't knew yet, it's even faster than mine!